1. Separately dry roast the coriander seeds, peppercorns, urad dal, red chillies and coconut. 2. Then grind them together and keep aside. 3. 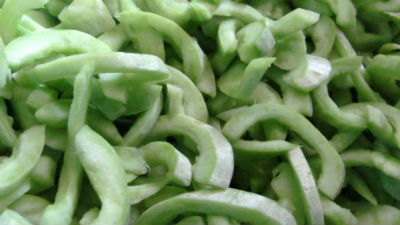 To the snake gourd pieces, add salt, red chilli powder and turmeric powder. 4. Then place them in a pan and cook till the pudalangai is tender and soft. 5. Add the toor dal and bring to a boil. 6. Add the ground ingredients and stir well. 7. Heat a little oil in a small frying pan. 8. Fry the tempering ingredients and add to the kootu. 9. Give it a quick stir and remove from flame. 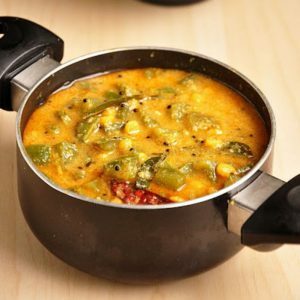 Feel free to comment or share your thoughts on this Podalangai Poricha Kootu Recipe from Awesome Cuisine.